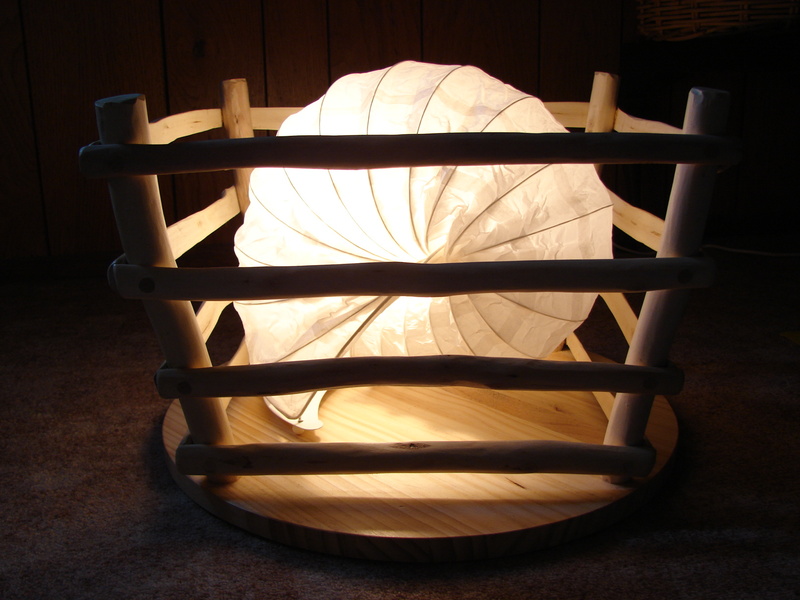 Suitable as a night light and made from recycled Pine and Gum Stick work. 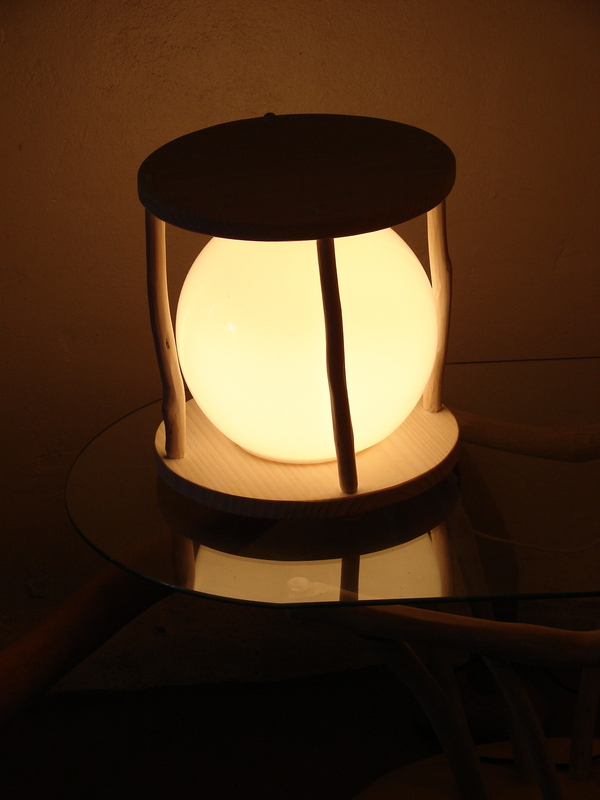 Nautilus Light of Gum Stick with Eco-fittings. Hand made from an original design by the author. 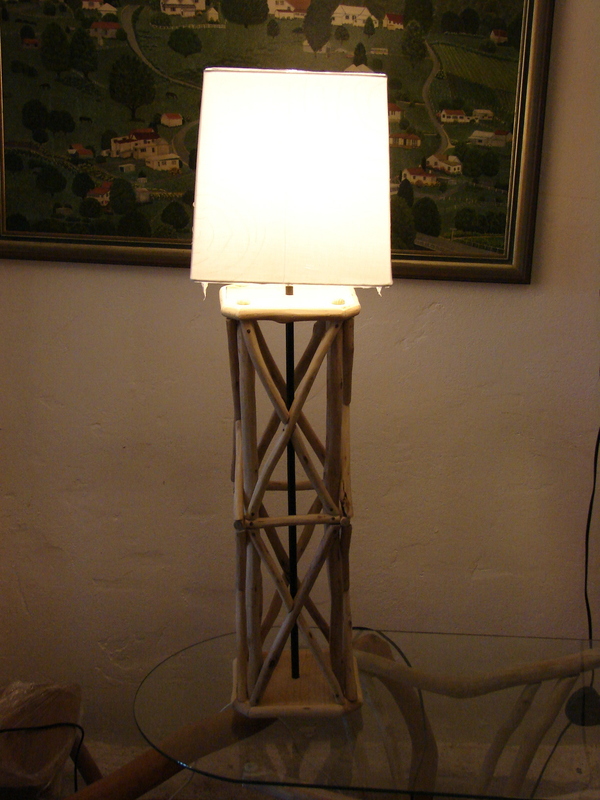 A waxed Gum Stick Floor Lamp with Eco-fitting.